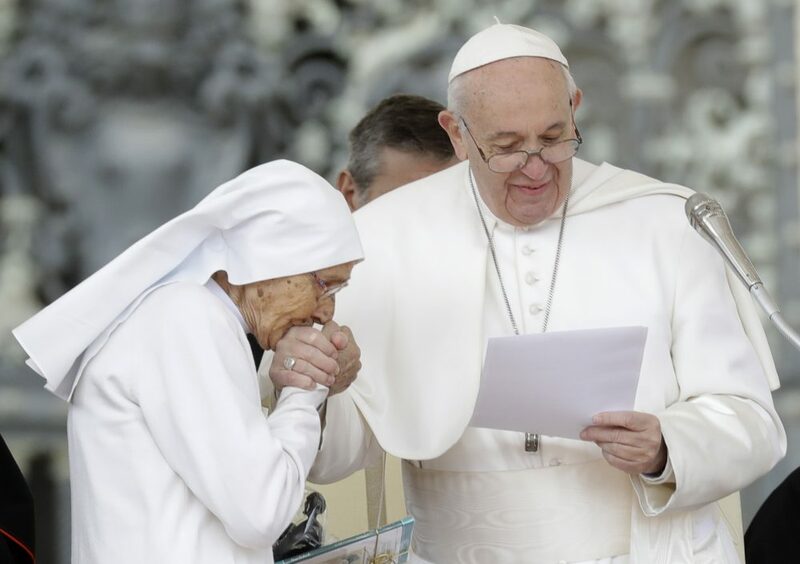 Pope Francis has allowed nuns and priests to kiss his papal ring during his weekly audience in St. Peter's Square, two days after he pulled his hand away from several faithful. VATICAN CITY — Pope Francis has set the record straight about why he pulled his hand away when throngs of people lined up this week to kiss his ring: for fear of spreading germs. Francis is known for gleefully embracing babies given to him to kiss and — germs be damned — sipping from mate gourds offered to him by strangers when he’s out and about on his popemobile.